"The jump in graduate school borrowing is bigger than I thought it was going to be," said the report's author Jason Delisle, director of the Federal Education Budget Project. Though the research doesn't say how much of it comes from graduate students, separate federal data showed that graduate loans were 41% of student loans issued in the fall of 2012. That's despite the fact that graduate students were only 17% of all student loan borrowers, according to New America, a think tank. "Are graduate students thinking: I've got less money to get a graduate education, so I should borrow more? My employment prospects look worse, so should I borrow more? That's problematic," Delisle said. It certainly was the case with Robert Ridley, who will graduate this year from the University of Kentucky with a master's degree in public policy and $60,000 in federal student loans. "I'll know for sure after I graduate in December whether graduate school was the right thing to do," said Ridley, whose undergraduate degree in sociology from the University of Cincinnati was mostly paid by a National Merit Scholarship and Pell Grants. The New America study found that some students are getting graduate degrees that don't necessarily lead to larger salary gains. 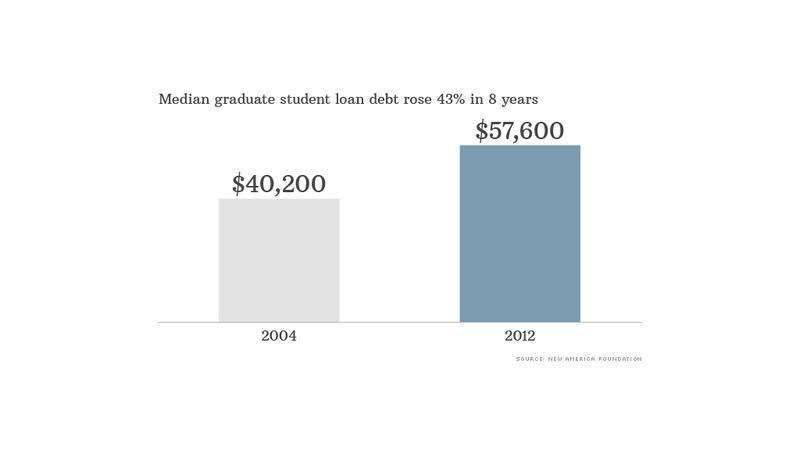 By contrast, borrowers financing Master of Arts degrees were $58,500 in debt in 2012, or $20,500 more than in 2004. "Those getting MBAs have decided I'm not going to borrow any more for that degree, but these other degrees that aren't matched to careers are borrowing a lot more," Delisle said. Ridley is hoping graduate school will help give him a jumpstart when he gets back in the work force. After his undergraduate degree he worked several jobs, including part-time stints doing accounting for municipal government and tutoring in accounting and math. But after he was let go from a part-time job at a university in 2004, he struggled to land an interview for any job. "I was forced to live with my mother much longer than I wanted or needed to. I tried everything," Ridley said. 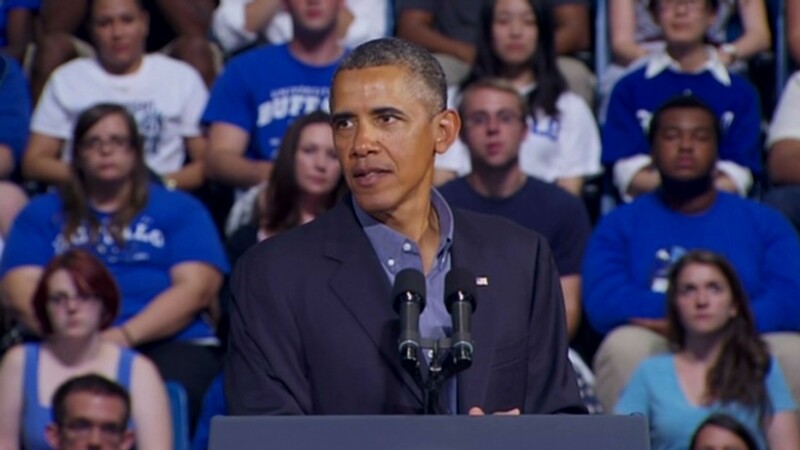 He went to community college in Cincinnati to retrain in 2009. He was recruited by University of Kentucky, after making the academic honor society at the college. Ridley is hopeful. Last summer, he interned at the U.S. Government Accountability Office in Washington, D.C., a watchdog agency for Congress. He wants to use that experience to land a full-time job as a policy analyst. "I didn't know what else to do, I'm just hoping to get a real job," he said.